Designing for 3D printing takes just as much work as designing for any other manufacturing process, and especially with the Markforged high-strength 3D printer, considering your manufacturing method is essential. There are some geometries and techniques that are very well suited for some processes and others not so much; with optimal setup, you can use the unique fiber routing method efficiently and effectively to increase the strength of your 3D printed parts. Because fiber is laid down in the XY-plane of the part, parts that need strength in a specific direction should be orientated such that they make the most use of the continuous fibers in that plane. 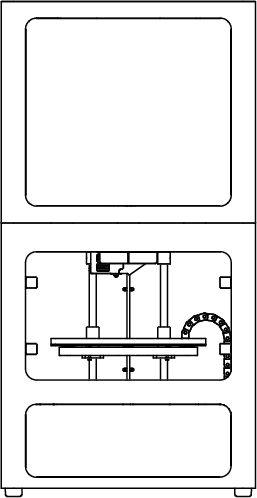 In addition, the plane that will house the fiber must have enough room for the fiber to be printed in a continuous strand. For a Mark Two, Onyx Pro, or Mark X, that means that you need room to lay down 40mm of continuous strand of fiber. For a Mark One, you need room to lay down 610mm of continuous fiber strand. Parts that have small features may not be able to fit fiber because of this constraint. For more information about printing fiber in small features, please see our Blog Post about the topic: Threading the Needle with Ease. 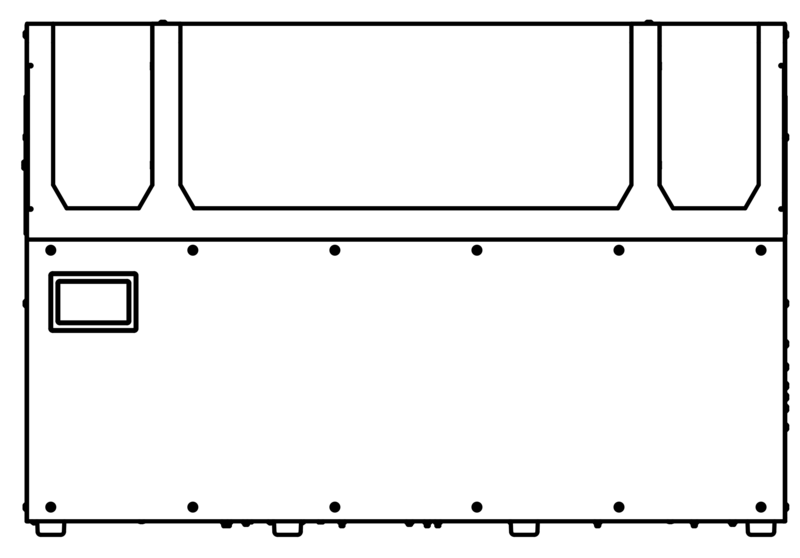 When enabling fiber printing in a part, fiber is automatically added as a sandwich panel with a total of six fiber layers, by default, if the geometry is able to fit it. Sandwich panels help ensure that you will have a strong part while still keeping an optimal strength-to-weight ratio. Import and save a new part or open an existing part from your Eiger library. Select the type of reinforcement material you want to use. Edit any Part Settings or Material Settings, as neccessary. Expand the "Reinforcement Settings" drop-down menu in the "Print Settings" panel. Set the number of fiber layers to appear in the part. Note: This value will be split with half the layers being placed on the top of the part and half being placed on the bottom. 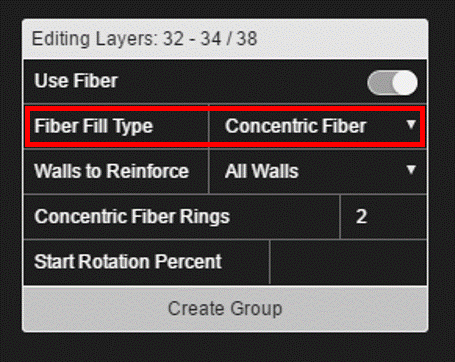 Select the fiber fill pattern that you want to use. If you are using Concentric fiber fill, choose which walls you want to reinforce. Note: If you are not using Concentric Fill, this option will not appear in the "Part Settings" panel. Set the number of Concentric Fiber Rings to appear in the part. If you are using Isotropic fiber fill, set the Fiber Angles for the fiber in the part. Note: If you are not using Isotropic Fill, this option will not appear in the "Part Settings" panel. 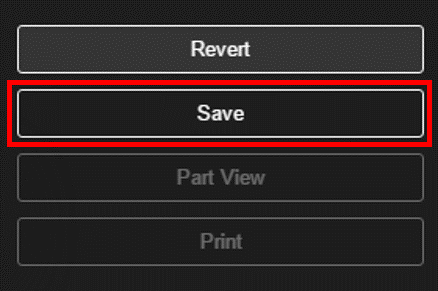 Press the "Save" button to save the current fiber settings. Eiger allows users to edit the fiber configuration on individual layers of their parts to provide additional strength or stiffness beyond what the automatically routed fiber can provide. Press the "Internal View" button. Use the Layer Bar to select the layer or group of layers where you want to add fiber. 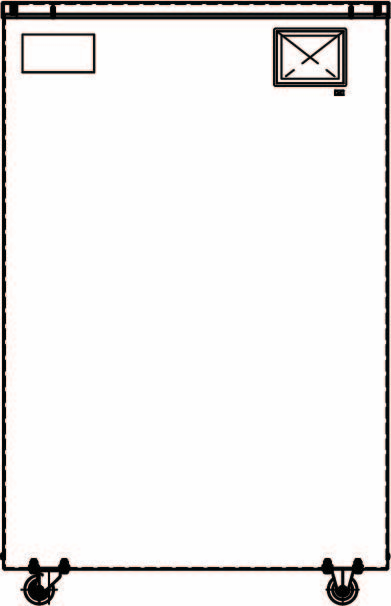 Note: To select a single, specific layer, try switching the view mode to "2D". Groups of layers cannot be selected in 2D Mode. Enable the "Use Fiber" toggle button in the "Editing Layers" box in the upper right corner of the screen. Choose the fiber fill pattern that you want to use. Choose which walls you want to reinforce. Note: Number of concentric rings can also be specific for Isotropic Fill to better reinforce the shell of the part. 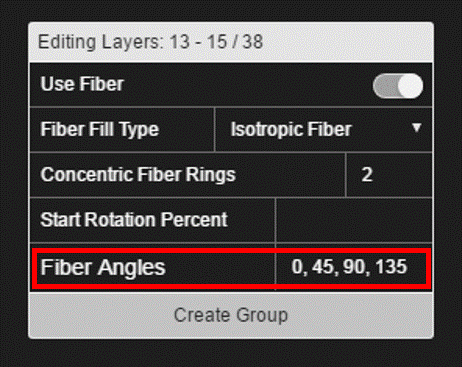 Set the Start Rotation Percent for the concentric rings of fiber in the layer. Set the Fiber Angles for the fiber in the part, if you are using Isotropic Fill. Press the "Create Group" button at the bottom of the "Editing Layers" box to create a fiber group with the specified settings over the selected layer or layers. Save the part, if needed, and press the "Internal View" button. Disable the "Use Fiber" toggle button in the "Editing Layers" box in the upper right corner of the screen.